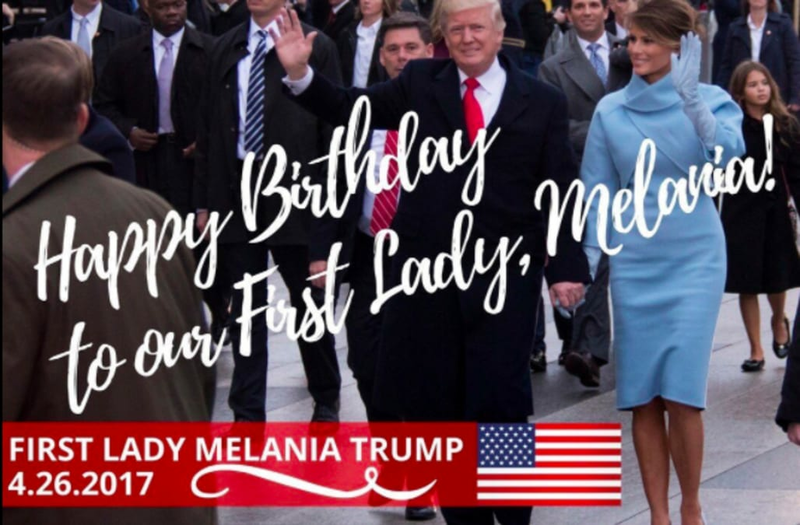 On Wednesday, Donald Trump wished his wife Melania Trump a happy 47th birthday. Shortly after he posted the message on Twitter, people began to notice something was a little off. Christina Wilkie pointed out that the flag on Melania Trump's birthday flag only has 39 stars. The U.S. flag has had 13 stripes and 50 stars since 1960 -- but what's even more bizarre is the fact that the flag has never had 39 stars. In 1877 the flag had 38 stars, and it was used for 13 years before being updated to include the five states that joined the U.S. in those years. There were 39 states in the U.S. for only a brief moment -- North Dakota joined on Nov. 2, 1889, as the 39th state. Hours later, South Dakota became the 40th state. According to the New York Times, a 39-star flag was once mistakenly produced because manufacturers thought Dakota would be admitted as one state. Trump used the same 39-star flag in his birthday message to his wife, but that's not the only time he has used it. Less than a week earlier, he included the 39-star flag in a message welcoming Aya Hijazi, an Egyptian-American aid worker, home the U.S. It's possible that the 39-star flag is simply a necessity because it's hard to fit 50 stars on such a small flag, but that didn't stop Twitter users from developing conspiracy theories. @christinawilkie how many states are in the 9th circuit? Asking for a friend. @christinawilkie @chrislhayes @FLOTUS @eventsforgood How soon before we find out a 39-star American flag is some sort of alt-right meme?